Since the law went into effect, Maryland police have served 114 confiscation orders, which amounts to approximately three seizures every day. Maryland police slaughtered a grandfather in his own home while executing a gun seizure 'red flag' order on the law-abiding man. In what many people feared would happen, a Maryland man was shot and killed by police in his own home carrying out a ‘gun confiscation’ order. 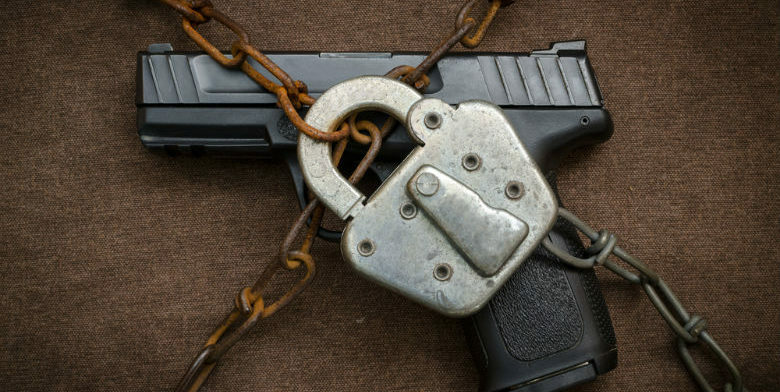 Police refuse to disclose who filed the ‘protective order,’ red flag law that allows officials to seize law-abiding citizens’ guns based on ‘confidential’ claims. Since the law was placed in effect on October 1, Maryland police have collected people’s guns at a rate of three every day, a total of 114. The family of the man who was slaughtered in his own home are dumbfounded and angry. The Anne Arundel County officers were serving a ‘protective order’ (which means that anyone can say anyone else is a ‘threat to themselves or others’ and have their constitutional rights stripped away) on 60-year-old, Ferndale resident Gary J. Williams. He answered his door and naturally got his gun, as anyone who has ever been to Maryland knows is a crucial act. After he saw the officers, he put the gun down. When they explained that they were there to seize his lawful property, he became ‘irate,’ and picked up the gun again. The officers struggled with him and a shot went off, but did not hit anyone or cause anyone injury. So, then one of the officers decided to shoot and kill him. The officers’ names have not been released. Sgt. Jacklyn Davis, a police spokeswoman, said she didn’t know if anyone else was home at the time, or who had sought the ‘protective order’ against Williams. Willis explained that she had grown up in the house, and was there on Sunday night to move out her son, who had been helping to care for her grandmother. She said her uncle “likes to speak his mind,” but argued that he was harmless. She and other family members stood down the street in the rain while waiting for police to let family members into the home Monday morning. Many people believe that she is absolutely right, and that such unlawful seizure orders are not only unconstitutional, but a recipe for disaster.